A design that captures attention. Sweet Red are a team of dedicated strawberry farmers who produce the sweetest strawberries you’ve ever tasted. 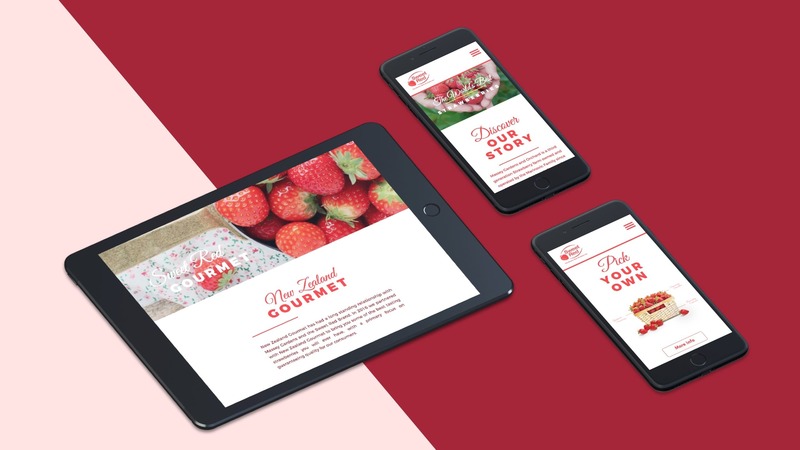 Fabric designed them a website that gave them a chance to communicate their brand and a voice that all strawberries lovers could understand. Communicates Sweet Red's unique story. 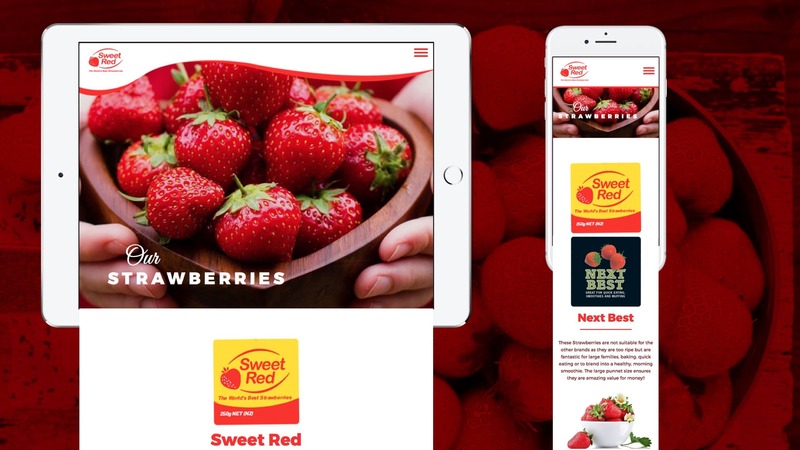 A custom designed website helped Sweet Red to increase their visibility and communicate their story to the target market, in their own unique voice. This new look website helped to promote their brand, and further solidify their dominant position in their industry. The website heroes the strawberries themselves, drawing on their colour for an eye-catching colour scheme. After all, there is no point having the best products in the world if nobody understands your brand or what you have to offer. 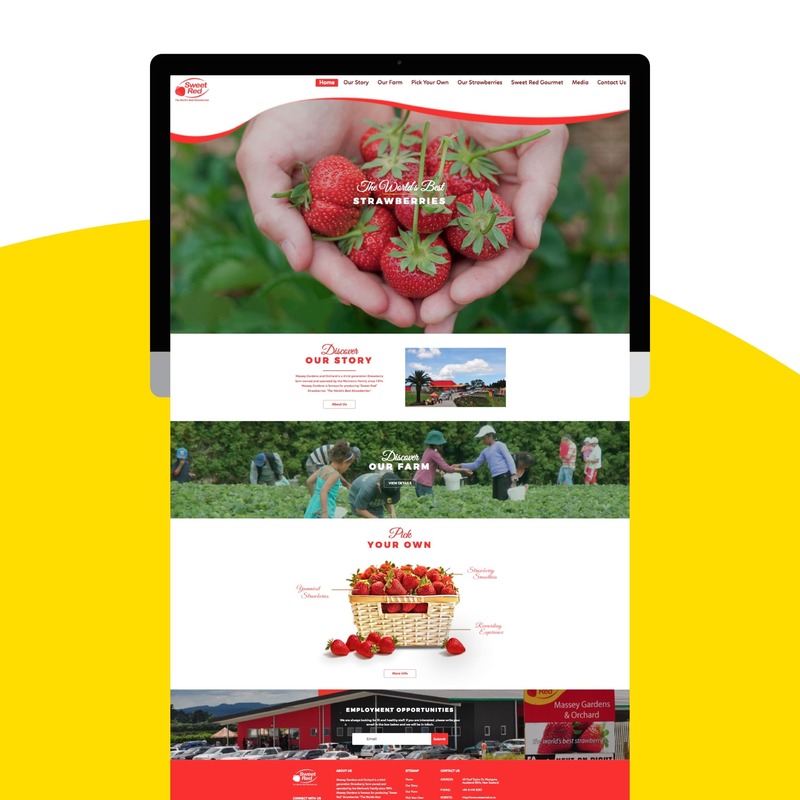 Sweet Red’s new website builds a strong brand and showcases their range of brands and the backstory of the farms which produce these famous strawberries. Help their customers reach them on any device. Sweet Red's new website looks just as beautiful on all devices. It is designed to be highly responsive ensuring that all customers can interact with the website regardless of whether they are on a desktop computer at work, or on their smart phone on the bus on the way home.